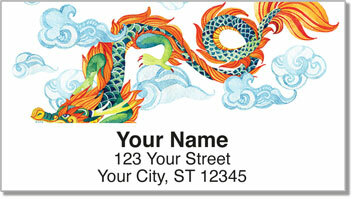 Artistic depictions of serpentine dragons create an eye-catching and original set of return address labels. In China, these magical beasts are ancient symbols of power, strength and good luck! 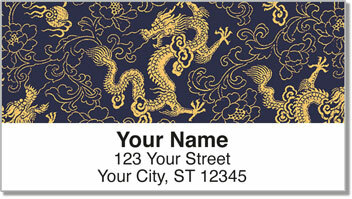 Now you can send some good fortune out with your mail when you use this classic and convenient product. 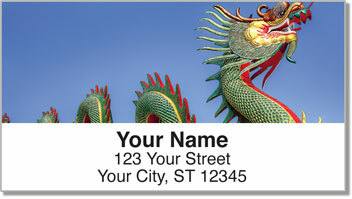 Chinese Dragon Address Labels from CheckAdvantage feature a stylish aged parchment background with subtle yet striking imagery, making them an attractive choice. They will also save you time because they eliminate the need to write out your return address by hand. 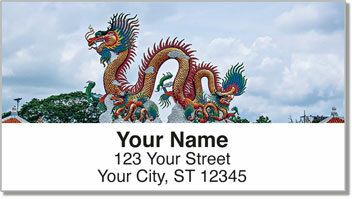 Get your very own Chinese Dragon Address Labels right now! This cultural design can also be ordered as a set of personal checks.